AS the nine month financial reports of companies continue to trickle into the market, operators have said that activity will remain positive this week, to mark two consecutive weeks of positive run. A couple of companies made their third quarter, 2018 (Q3’18) financial statements public last week, including three tier-I banks (Zenith Bank Plc, United Bank for Africa, UBA Plc and Guaranty Trust Bank Plc) as well as cement manufacturing giant – Lafarge Africa Plc and Okomu Oil Plc among others. Though it was a mixed performance, all the tier-1 banks recorded positive profit before tax during the nine month period. Consequently, mirroring the previous week’s performance, the banking sector emerged a major driver of the market, making substantial contributions to the volume and value traded. 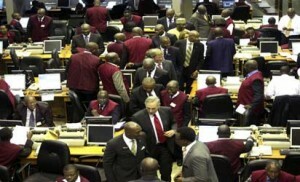 Returns in the domestic bourse remained positive for the second consecutive week with the All Share Index, ASI, rising by 1.19 percent to 32,841.69 points, while the market capitalisation of listed equities rose by N140.45 billion or 1.19 percent to N11.990 trillion. Making prognosis into the week, analysts at Cowry Asset Management said the market is expected to remain bullish with further increase in activity level, as investors continue to take advantage of undervalued stocks amid positive third quarter earnings. According to United Capital in its weekly review, with some level of clarity in the political space with Alhaji Atiku Abubakar and President Muhammadu Buhari emerging presidential flag bearers of People Democratic Party and All Progressive Congress, APC, respectively ahead of the 2019 election and oil prices above $80/bbl, activity would start reverting to fundamentals. “Markets can ignore earnings but not for long. That being so, we expect market sentiment to start reverting to fundamentals. Though we highlight that structural weaknesses exist; fast Moving Consumer Goods, FMCG’s are bogged with heavy financing and operating costs, while downstream companies face capped margins. “There is also the case of rising bond yields in the US (benchmark 10-year Treasury yield recently touched a 7-year high). Again, investors’ would have a lot to deal with than just bottom-line profits,” the investment banking firm said. At the end of transaction last week, the banking and insurance sectors, inched up by 1.04 percent and 1.97 percent to 416.20 points and 124.29 points respectively.